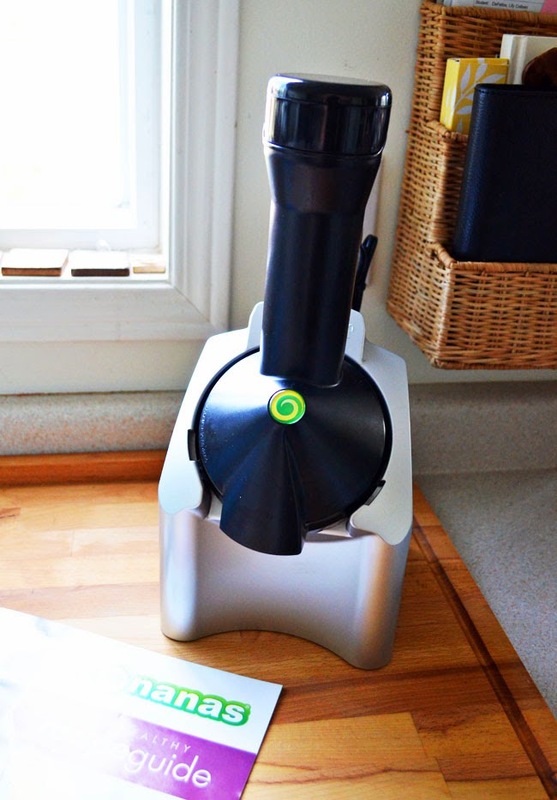 Of all the gadgets and tools in our kitchen, the Yonanas healthy dessert maker has been our favourite of late. 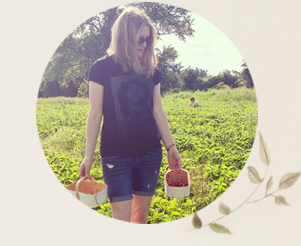 Not so long ago, I was sitting next to another mother at my son's basketball game when we began talking about food (pretty much my favourite subject). She showed me a picture of a frozen dessert pie that she had made for her health-conscious daughter using a Yonanas treat maker. It looked so good that I became obsessed with getting myself a Yonanas to create frozen fruit desserts of my own. With Yonanas, you can take frozen bananas and other frozen fruit and turn them into a tasty treat similar to soft serve ice cream or frozen yogurt. It's completely made of fruit, yet it feels like a decadent dessert. If you don't believe me, ask my kids. They now ask me for Yonanas almost every single night. You can get the same effect without purchasing a Yonanas machine simply by blending the frozen fruit in your food processor. Although we regularly enjoy simple berry/banana blends, I decided to try my hand at making a "fancier" treat one day. I came up with this Berry Banana Frozen Pie with a chocolate sandwich cookie crust, cacao nibs and fresh raspberries. If you are on a gluten-free diet, use gluten-free chocolate and vanilla sandwich cookies (like KinniToos) to make the recipe entirely gluten free. 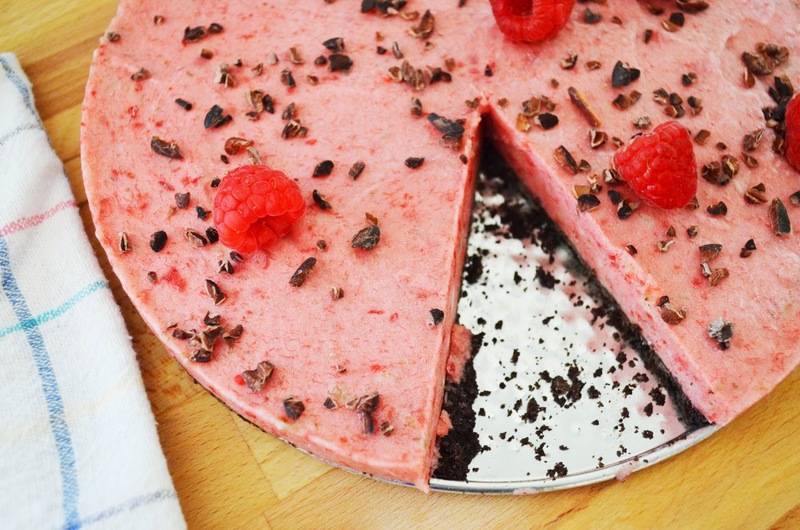 The main part of the pie is a mix of bananas, frozen strawberries and frozen raspberries. I topped the finished pie with fresh raspberries and cacao nibs. 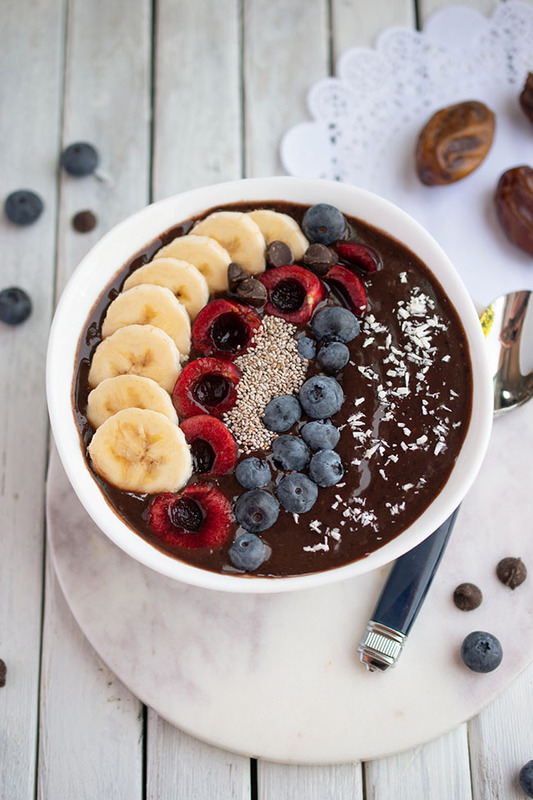 Cacao nibs are a great source of magnesium and fibre and they provide a pleasant crunch in this recipe. 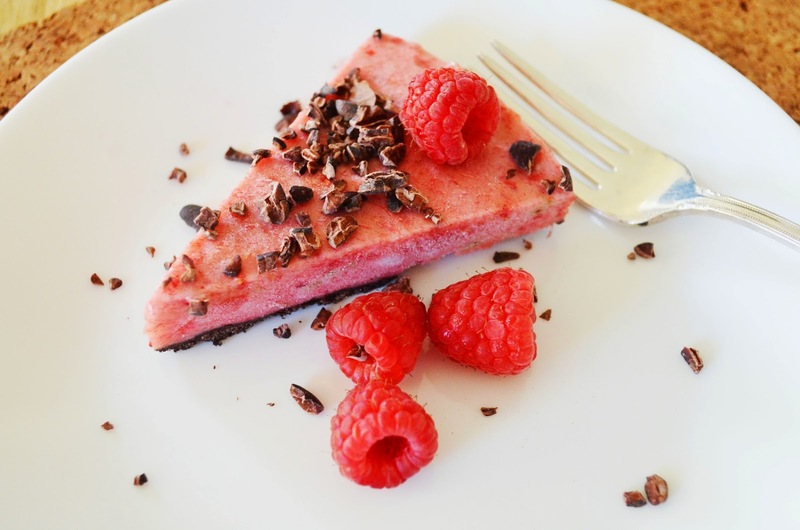 My daughter loved this frozen pie and she kept adding more cacao nibs to her servings. Once I got my Yonanas machine, the worst part was waiting for bananas to age. The ideal bananas for a Yonanas dessert are ripened to the point of being cheetah spotted. Once they get to that stage, you peel them and freeze them. When you are ready to make your treat, take the bananas and other frozen fruit out of the freezer, let them defrost for about 15 minutes, process them through the machine and voila, a yummy, healthy dessert (or breakfast for that matter). I make sure to buy lots of bananas each time I go to the grocery store now so that we always have bananas ready. The process is so easy that my kids can make their own frozen desserts. Yonanas has been a great asset in feeding my daughter's sweet tooth with 100% pure fruit. My favourite ice cream treat is soy milk cherry ice cream with chocolate chunks. I found I can mimic this ice cream (at a much cheaper cost) by mixing in frozen cherries with my bananas and stirring in some chocolate chips or chunks. You get random little chunks of cherry that didn't mix in - yum! It's a guilt-free dessert. Yonanas' compact design means it doesn't take up much room on my counter, which is essential for a kitchen gadget collector like me. And the machine has parts that are easy to remove and clean. The base just needs a quick wipe and all the other parts can be soaked right in the sink. I just make sure I wash them right away so the fruit doesn't set on them. You can buy Yonanas online or in stores. In a mini food processor or food processor, blend sandwich cookies until they resemble grains of sand. Press cookie crumbs into a 9-inch springform pan using your fingertips. Freeze until the crust sets. Turn on the Yonanas treat maker and process fruit into a bowl in this order: 1 banana, strawberries, 2 bananas, raspberries (frozen only), 1 banana. If you don't own a Yonanas, blend the frozen fruit all together in a food processor until creamy. Stir together until the fruit is evenly mixed. Fold into frozen pie crust, smooth top and freeze for 4 hours or overnight. 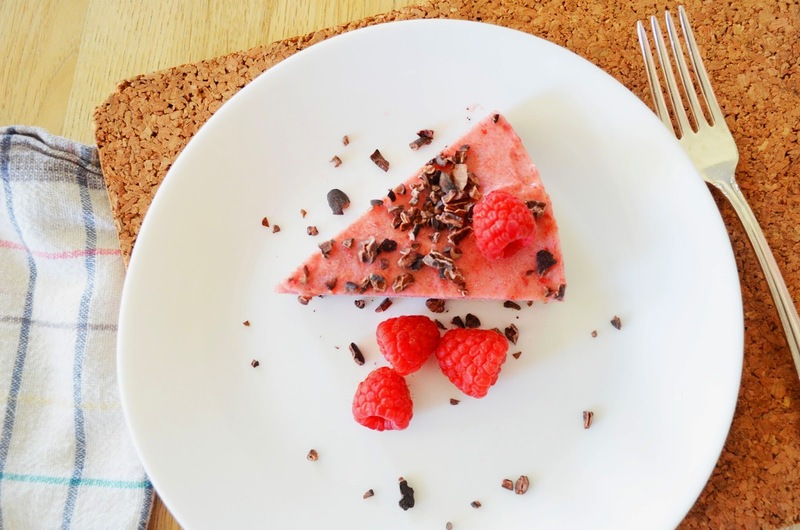 Thaw slightly and sprinkle with cacao nibs and fresh raspberries before serving. Enjoy! *I was provided with product for review purposes. All opinions are authentic and my own. Jo, that looks soooo yummy.